Personal finance can sometimes be a complicated and confusing topic, particularly if you’re still learning the ropes of money management. Having an expert you can turn to for advice and guidance can make things like making your first budget, creating a get out of debt plan, saving for retirement, or buying a home easier to navigate. While a financial planner can help with all those things, you’ll pay a fee for their services. Listening to podcasts is a more convenient — and less costly — way to tap into expert knowledge. Finance podcasts can help you get clear on your money goals and create a plan for achieving them, all from the comfort of your home, car, or even the treadmill at the gym. With hundreds of thousands of podcasts to choose from, you might be wondering which ones are the best. If you’re looking for some new finance podcasts to tune into, consider adding these eight picks to your playlist. 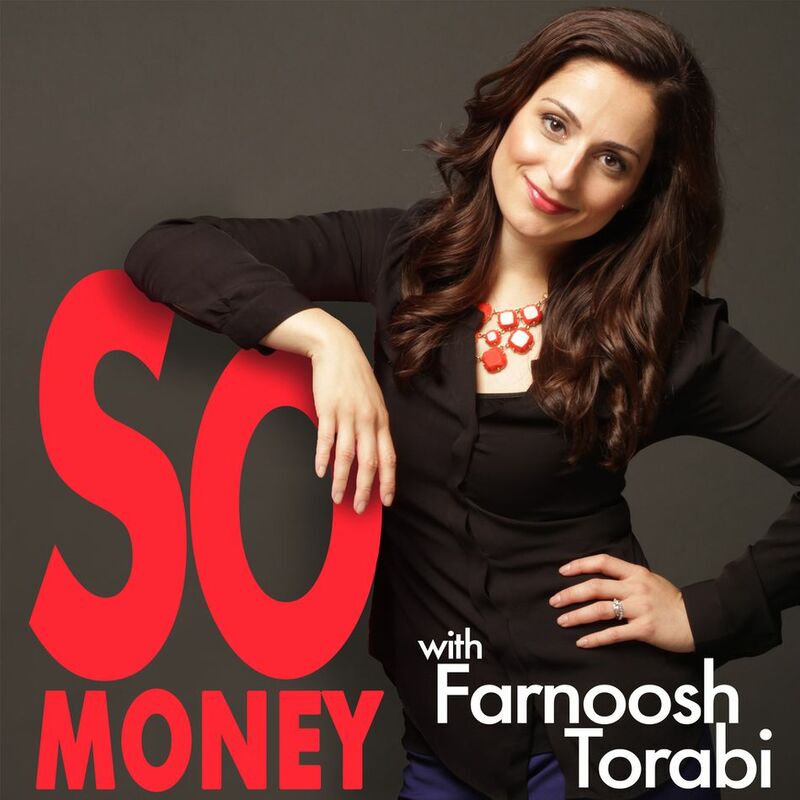 Hosted by leading personal finance expert Farnoosh Torabi, So Money has been rated as the top female-hosted podcast by Entrepreneur magazine and it’s also the winner of the top financial podcast award from Plutus. During her weekly chats with entrepreneurial movers and shakers, finance authors and influencers, Torabi covers all the basics of money management. You can learn about everything from paying off credit cards to handling finances jointly as a couple to launching and growing a business. It’s a comprehensive take on money, with no financial stone left unturned. The podcast format is casual, yet candid, with stories and examples drawn from the real-life experiences of Torabi and her guests. Of all the finance podcasts around, So Money proves to be a solid choice for millennials or anyone else who’s just getting started on their personal finance journey. Radio personality and finance expert Dave Ramsey is best known for his “baby steps” approach to personal finance, which involves moving through a specific set of steps in a particular order to achieve financial security and wellness. One of those steps is paying off debt using the snowball method, a concept that can be applied to student loans, credit cards, car loans, personal loans, mortgages, or any other type of debt you might have. Like the Dave Ramsey radio show, the podcast offers straightforward, no-fluff advice on how to eliminate debt systematically and quickly so you can move on to other financial goals, such as planning for retirement. If you’ve been struggling to gain traction with paying off debt or you just don’t know what to do first, Ramsey can help you create an actionable plan for getting ahead and chipping away at the balances. You’ll also be inspired and motivated by the stories Ramsey's listeners share as they’ve worked towards debt freedom. Trying to master personal finance while working towards a degree or navigating the job market can be challenging to say the least. You may be learning how to pay bills for the first time or getting introduced to credit and credit scores, without understanding how those things affect you financially. The College Investor podcast aims to make the financial part of the equation easier by addressing the issues that matter to students and recent grads the most: how to repay student loans, how to create a first budget, do’s and don’ts of landing a first job, and how to dip your toes into investing, among others. It’s a great podcast for younger adults who want to develop a firm money blueprint they can follow through their 20s and beyond, but older listeners can also learn a new financial trick or two. In addition to those topics, host Robert Farrington (who happens to be a millennial money expert and entrepreneur) talks extensively about side hustles and becoming your own boss in a way that’s relatable and easy to understand, which may be appealing if you’re dreaming of starting your own business after college. When it comes to money, women often face some unique financial challenges. The gender pay gap, for instance, means women earn less than men. Caregiving for children or aging parents can reduce women’s time in the workforce and in turn, their earning and saving potential over the course of a lifetime. Minority women can face even more obstacles in achieving income equality. The Fairer Cents podcast hones in on those types of issues to cast a spotlight on how they can affect the financial well-being of women. If you’re looking for a feminist take on finance that goes deeper than the standard money podcast fare, Fairer Cents co-hosts Kara Perez and Tanja Hester deliver plenty of insightful discussions. They’re helped along by their expert guests, which include behavioral scientists and financial gurus who can speak on the financial issues that most impact women. Saving is what you do when you want to put aside money that you think you may need in the near term. Investing is what you do when you want your money to grow over the long term, as you can earn a better rate of return than a savings account can offer. If you’re not an investing pro yet and you don’t know a stock from a bond, you might need some guidance in making sense of the market and where to put your money. David Stein, a former chief investment strategist, created the Money for the Rest of Us podcast for investors who want to carve a path in the market while keeping their risk tolerance and goals in sight. The podcast combines personal stories with academic research to explain key concepts such as portfolio balancing, how market cycles move, and how to invest with small amounts money. The stock market is unpredictable — just when you think it might zig, it zags instead. If you’ve been investing for some time, you may be looking for more in-depth, granular analysis of what the market’s doing and where it might be headed next, versus conversations about basic investing topics. The Disciplined Investor podcast is designed for experienced investors who already have a feel for the market, but newbies can also tune in for high-level discussions. Disciplined Investor founder and host Andrew Horowitz chimes in weekly on topics like whether the potential for a recession exists, where the Federal Reserve may be going next with monetary policy, current trading trends, and how regulatory measures, such as new tariffs, may impact the markets. This is the podcast for you if you want timely, up-to-the-moment insight with discussion of specific stocks and securities as you make portfolio decisions about where, when, and how much to invest. Pat Flynn is a blogger, influencer, and perhaps most importantly, he’s an experienced entrepreneur who knows the subject of earning an income online inside and out. He successfully built a blogging empire and he’s established himself as a go-to guru for passive income. His weekly podcast series offers an insider’s view of how to build a business and earn money online so you can leave the rat race behind for good. Whether you’re interested in making money as a blogger, creating passive income through affiliate marketing, improving your email marketing game, or becoming a money-making podcaster yourself, you’ll hear all about it on Smart Passive Income. And it’s not just Flynn’s expertise you’re privy to either. He’s regularly joined by online business leaders who have become influencers across a wide range of niches, such as Gary Vaynerchuk, Ramit Sethi, and Tim Ferriss, who routinely share their best tips for being more productive, developing your selling strategy, and smashing your online money-making goals. The FIRE movement (financial independence, retire early) is fueled by a desire to enjoy financial freedom sooner, rather than waiting until traditional retirement age. It’s a topic that’s explored extensively in the Mad Fientist blog and podcast. The podcast uses an interview format to pick the brains of some of the best-known FIRE movement forerunners, including Mr. Money Moustache, J.D. Roth, and the Frugalwoods. The advice you’ll hear is actionable but also conceptual — the podcast challenges listeners to abandon old ideas about what retirement and financial independence should look like and when it should happen. Talks revolve around saving and planning for retirement early (of course), but they also extend to things like how to find happiness as you pursue your money goals. It’s worth a listen if you’re interested in figuring out how to unlock your wealth-building potential and level up your lifestyle.